Welcome to our website! Located in Amsterdam New York, Goodfellas Pizzeria was opened January 3rd 2006. Over the past 13 years we have grown and adapted to the ever changing pizza industry offering everything from slices on the run to traditional Italian dishes. We pride ourselves in true New York fashion in that every pizza and calzone is made to order and hand-tossed, NO EXCEPTIONS! So you can be sure that every pizza is fresh, whether picked up or delivered to your door. 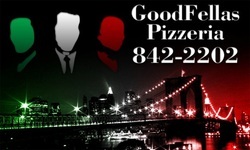 So as the owner of Goodfellas Pizzeria I personally welcome you to our site, feel free to look at some of our delicious options on our menu, and stop in and introduce yourself. I look forward to meeting you.